REB is capable of servicing companies on a local, national, and international scale. REB’s corporate office and 100,000 SF warehouse and distribution center is in Chicago. 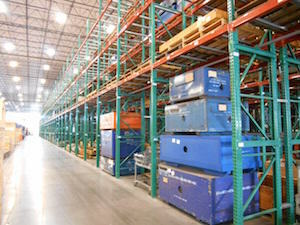 Our warehouse features an exhaustive inventory of storage systems and material handling equipment.